Orange string lights, with 50 lights per string, are versatile lights which can be used in many ways in your home. 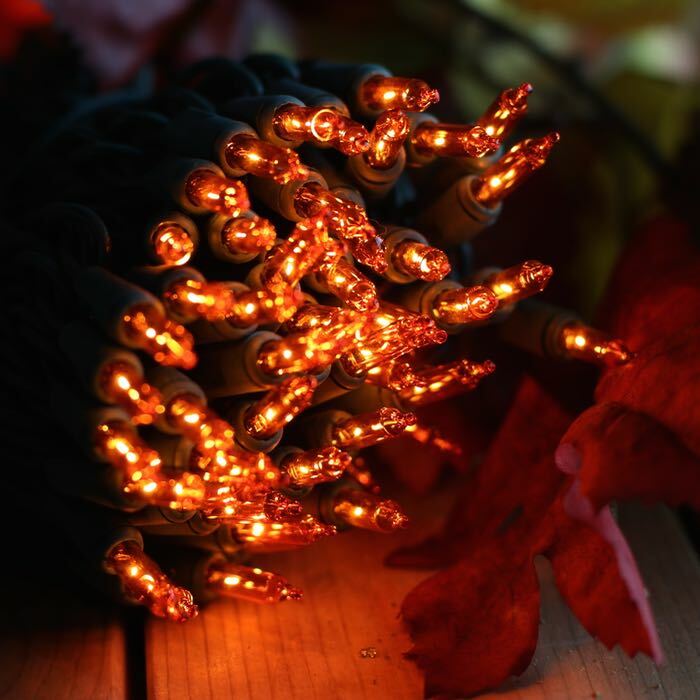 While Halloween may be the obvious time to decorate with them, consider using these orange light strings even earlier when the first hint of a cool fall breeze is in the air. Mix them with green and who knows, the Great Pumpkin might pay you a visit. 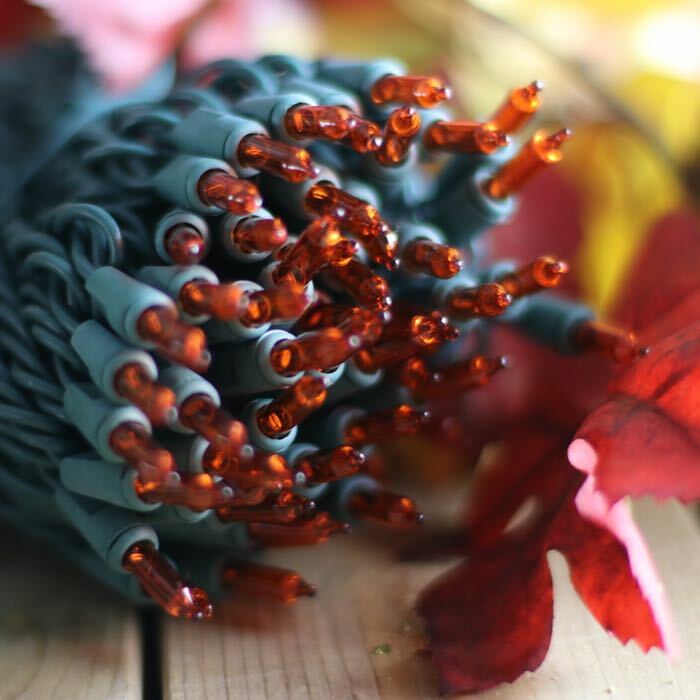 These strings, which come on green wire with 4-inch spacing, are ideal for bringing a beautiful amber glow to your fall decorations. Wrap them around a commercial grade evergreen wreath and add a golden or raffia bow and a small faux pumpkin or squash for a welcome touch on your front door. sports events - almost amber enough for UT fans!